The nation’s second-largest drugstore chain is kicking the habit of selling tobacco products. CVS Caremark Corp. plans to phase out cigarettes, cigars, and chewing tobacco from all of its 7,600 nationwide stores by October 1, 2014. CVS has been working towards teaming up with hospital groups and other doctor practices in order to deliver and monitor patient care within their own facilities. Over the past several years, the drugstore industry has seen a major push towards many major drugstore chains incorporating in-store health clinics and offering additional health care plans directly through the store. CVS claims that the addition of these in-store health clinics are helping them prepare for the increased health care demand, which is due to the aging U.S. population. As CVS strives to improve their image as a leading drugstore and patient care provider, the presence of tobacco in their stores has made for some awkward conversations. Dr. Troyen A. Brennan, Chief Medical Officer of CVS, noted that often times people ask why and how CVC continues to carry tobacco products when they are trying to be a leading entity of the health care system. CVS’s decision to stop carrying tobacco products will lose the company about $2 billion in annual revenue. The loss in revenue, however, is not projected to affect the company’s 2014 earnings forecast. Drugstores account for only 4% of cigarettes sold throughout the U.S., while gas stations generate almost half of the tobacco sales nationwide, about $107.7 billion in 2012. 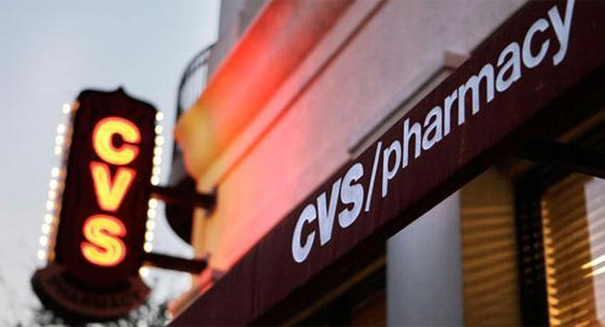 As CVS begins to remove tobacco products from their shelves, they will begin to expand their smoking cessation efforts, which include teaching pharmacists to counsel people on how to quit smoking. President Obama acknowledged that the decision will aid his administration’s efforts to reduce tobacco-related deaths, cancer, and heart disease, as well as lower health care costs. According to the FDA, tobacco kills over 480,000 people every year in the U.S. Dr. Brennan noted that the company’s choice to remove tobacco products will put a more positive image on the store w hill it focuses on being a healthier environment for its customers. Filed Under: Business, Front Page, Health, None, U.S.